Well, I'm still experimenting with graphics ... but I can't say my technique has gotten much better. Still, it's FUN. 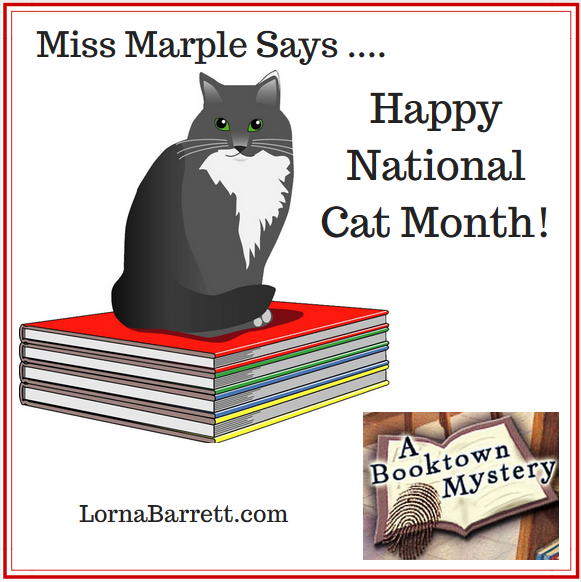 This month is National Cat Month, so I've had some fun with that (and will have more as the month goes on). Here are a few of the graphics I've done for myself and The Chicks. You can't get much more simple than the above. 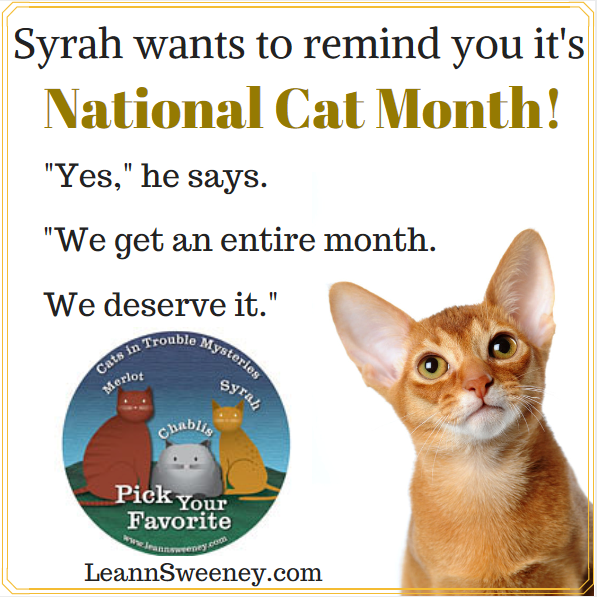 Syrah is back with his National Cat Month message, too. I'll be doing more for Leann's Cats In Trouble and some of the other chicks as the month goes on. Speaking of the Chicks ... The next one is the most important ... but I'll let Mary tell you more about what's in store for our readers tomorrow. Those are all great graphics! VERY nice. 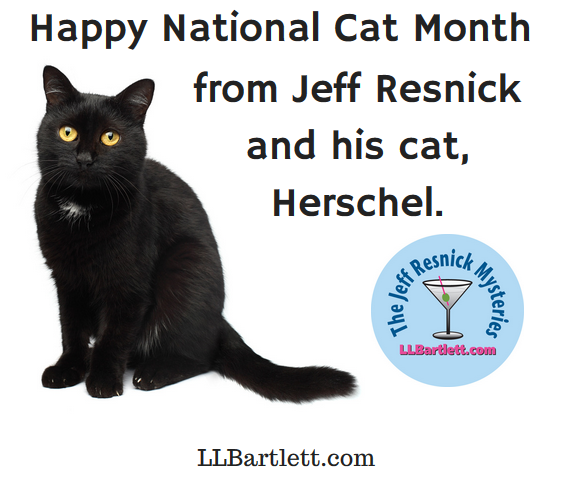 Nice graphics, but we think every month should be National Cat Month. Great graphics. I'm hoping that one of these days I can find the time to start experimenting with making posters for shelter and foster kitties. Your Bonnie and Besty are beautiful girls. It is so hard when we lose our furry friends, but I would not give up the time I've had with my babies for anything. I was there when my Mittens was born (her mom belonged to a neighbor but they didn't take care of her, so she moved in with me, and I raised and found homes for two litters of her babies). And my sweet girl was with me 20 years. I thought I would wait to get another cat, but coming home to an empty house was too lonely. Within a month I had rescued my current kitties - Socrates and Princess Isabella (aka Socks and Bella). 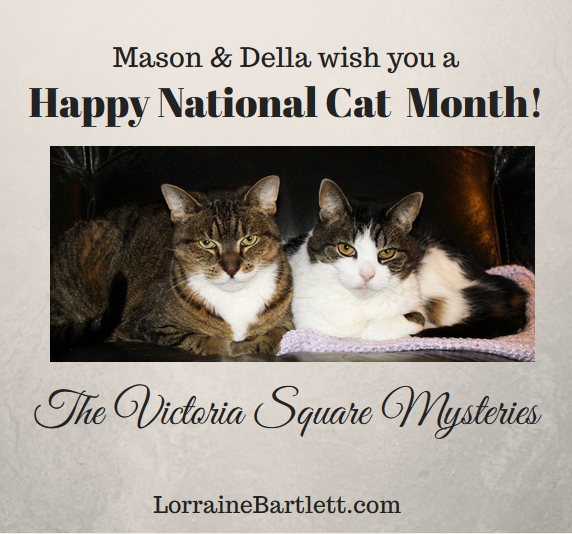 Pets make life so much better and the kitties deserve their own month. I'm looking forward to hearing about the new giveaway. And give Betsy a hug for me. Lorraine, I LOVE these!! 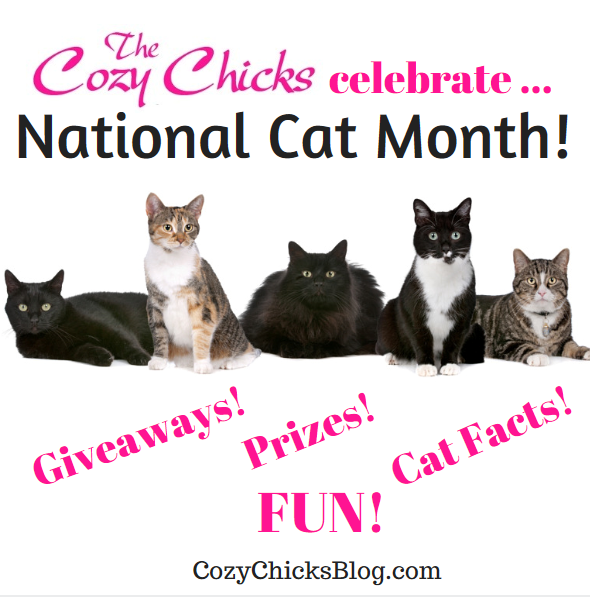 What a great way for the Cozy Chicks to honor our feline friends and our cat-lover readers. These are gorgeous. Fun times ahead for cats and their guardians. These are great Lorraine. My eight do think that every day should be national cat day, but then, you know how cats are! Great graphics! I've had 8 cats in my life (5 currently - 3 mine & 2 fosters). All rescues! I agree mine think every month is cat month.